A parent task can be split up into a number of tasks which can be assigned and tracked separately in a project. Splitting tasks into smaller tasks i,e work breakdown structure often provides a better picture of the progress on the task, and allows each project member involved to better understand what part of the module they are responsible for. Zoho Projects allows you to break your existing tasks into subtasks in order to gain much deeper insights into progress of a task. Now, you can outdent / indent an existing task to break into a subtask or parent task respectively as per your needs. 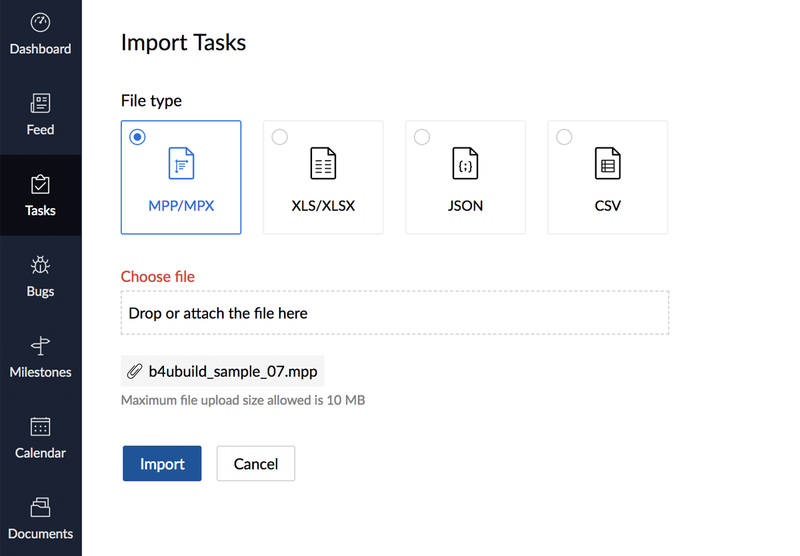 While importing subtasks in Zoho from your mpp file all your work break down structure is carried as such from MS Project. 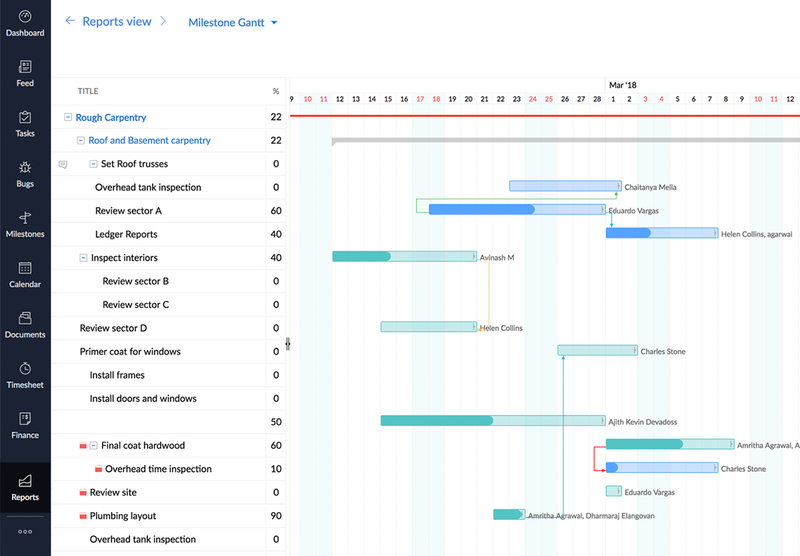 In addition, you can also view subtasks in the Gantt chart. Furthermore, just like normal tasks, you can capture subtasks as part of project templates. Helps you organize, and structure your tasks. Allows you to set project goals, keep track of deliverables and manage deadlines. Continuous uninterrupted workflow with no delays and on-time project completion. Break down (WBS) complex projects into many, related or dependent tasks and manage work effectively. You can import tasks along with its subtasks, so that your work break down structure (WBS) of MS Project is maintained in Zoho Projects. Create subtasks in no time. 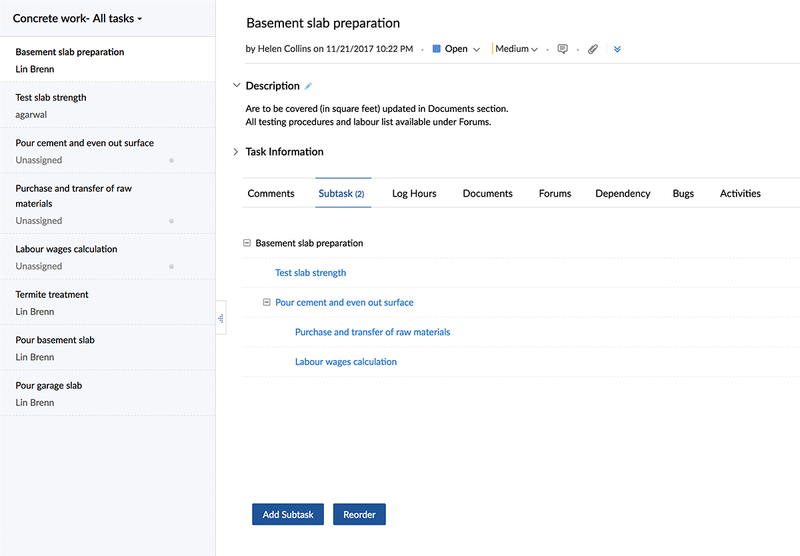 You can create them from the Task Details page or drag and drop tasks to create subtasks. The dragged task is now added as a subtask beneath the task it is dropped. You can also create subtasks right from within the Gantt chart. You can see subtasks showing right on your gantt charts. This gives you an easy way to view and print subtasks from Gantt view. 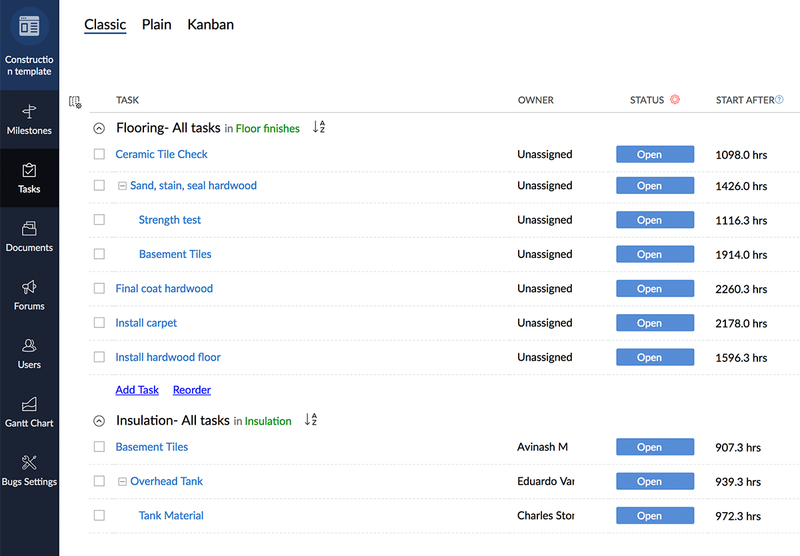 Just like normal tasks, you can capture the subtasks as part of your project template in Zoho Projects.